Thanks to the massive surge of speculative trading account openings, Chinese stocks are up 28% in the last month and a stunning 52% since China unleashed ‘QE-Lite’. This has sent the total market capitalization of China’s stocks soaring relative to the rest of the BRICS. In fact, Chinese stocks are now worth 55% more than Brazil, Russia, India, and South Africa combined… the most ever. US, Canada & Ukraine Vote Against Russia’s Anti-Nazism Resolution at UN! Leaders of the BRICS group of emerging powers hold a summit Wednesday with South American presidents, bringing together nations seeking alternatives to U.S. influence in the region. The leaders of Brazil, Russia, India, China and South Africa will hold talks in the Brazilian capital with counterparts from Argentina, Chile, Colombia, Ecuador, Venezuela and other Latin American nations. The gathering follows a BRICS-only summit Monday in the northeastern seaside city of Fortaleza, where the five nations agreed to create a development bank and a crisis reserve fund seen as rivals to Western-dominated financial institutions. Now Brazilian President Dilma Rousseff will host her BRICS counterparts and her allies in South America for a day of talks in the capital. “It’s an opportunity for Brazil to show that it’s not just interested in the BRICS but that it is betting on integration and what benefits the region,” said Oliver Stuenkel, foreign relations professor at the Getulio Vargas Foundation. For Chinese President Xi Jinping, the meetings represent a new push by Beijing to gain clout in a region traditionally seen as a U.S. backyard. After Wednesday’s talks, Xi will spend one more day in Brazil to launch a China-Latin America forum with leftist leaders including Cuban President Raul Castro. China’s massive purchases of commodities and exports of manufactured goods to the resource-rich region have boosted its two-way trade with Latin America to a total of $261.6 billion last year. The meetings are also another opportunity for India’s new Hindu nationalist Prime Minister Narendra Modi to present himself to the world. For Russian President Vladimir Putin, the talks give him a platform following his country’s exclusion from the G8 group of industrialized nations over Moscow’s annexation of Crimea from Ukraine. The BRICS leaders will be joined in Brasilia by leftist firebrands including Venezuelan President Nicolas Maduro, Argentine President Cristina Kirchner and Ecuadoran President Rafael Correa. The new financial mechanisms created by the BRICS could benefit Argentina, which is at risk of defaulting on $1.3 billion in debts after losing a U.S. Supreme Court battle with hedge funds seen as “vultures” by Buenos Aires. The New Development Bank, to be based in Shanghai, will have capital of $50 billion that could rise to $100 billion to fund infrastructure projects, while the fund will have $100 billion at its disposal to weather economic storms. But it could take two years, however, for the institutions to be operational because they have to ratified by the legislatures of each BRICS nation. Rousseff left open the possibility of using the fund to help non-BRICS nations, saying the group would be willing to “examine” any request from Argentina. “We are open to see what relationship (the fund) could have with countries outside the BRICS group but it hasn’t been decided yet because we just formed this institution,” she said after Tuesday’s summit. A woman walks past the International Convention Centre where the 5th BRICS Summit was held, in Durban March 25, 2013. (Reuters) – The five BRICS nations will likely agree to fund their $100 billion development effort equally, giving them the same rights in a new multilateral bank that could start lending in two years, a senior Brazilian government official told Reuters on Thursday. Capitalization of the bank was one of the main sticking points in the sometimes tortuous negotiations among the emerging powers to create a joint lender to finance infrastructure projects in developing nations. The new bank would symbolize the growing influence of emerging economies in the global financial architecture long dominated by the United States and Europe through the International Monetary Fund and World Bank. Negotiations to create the lender have dragged on for two years, with some members growing weary of China’s desire to have a bigger stake in the bank by putting in more capital. But this hurdle is being overcome. Leaders of Brazil, Russia, India, China and South Africa are expected to sign a treaty to launch the bank officially when they meet at a BRICS summit in the northern Brazilian city of Fortaleza on July 15. The bank, which will have start-up capital of $50 billion, will have to be ratified by the countries’ legislatures and could begin lending in two years, said the official, who requested anonymity because he was not authorized to speak publicly. Of that start-up capital, the countries will put in a total of $10 billion in cash and $40 billion in guarantees, which will be used to raise capital on international markets. The new development bank would help cover growing demand for project financing that has not been fully met by global multilaterals, which for years have been heavily criticized for meddling in the domestic policies of sovereign borrowers. The BRICS will also decide if the bank will be based in New Delhi, Shanghai, Johannesburg or Moscow. Brazil will not offer headquarters because of upcoming presidential elections that could delay negotiations, the official said. Later, the group will have to choose an executive “with experience in the financial sector” to lead the bank in a five-year presidency that will rotate among the founding members. In five years the bank’s capital should double to $100 billion through capitalization from funding members, debt emissions or contributions from new members. 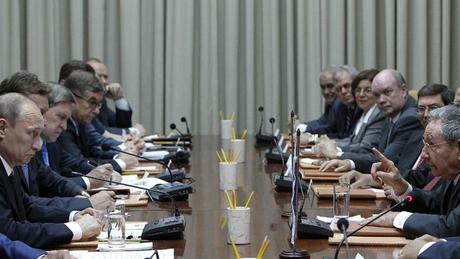 The BRICS will hold a minimum of 55 percent of the bank’s shares. It has been just over a month since the last newsletter was sent regarding the Global Currency Reset. Many subscribers have emailed asking for updates. Although Pastor Williams has told me there is nothing new from his elite friend I have looked at a few articles that are talking in the mainstream about things that Pastor Williams has warned about in the past. This newsletter may help you understand a little more about what is about to happen to the U.S. economy and the world in the next few years based on official statements from members of the Elite as well as IMF, World Bank, U.N. and more. In this newsletter I will discuss the Global Currency Reset, Gold, the One-Off Wealth Tax, China, Climate Change and World Government. All these things should make you understand in the next few years the entire global economy will change and you should be making preparations right now to protect not only your financial future, but the future of your health and wellbeing. While the Elite, Christine Lagarde and the International Monetary Fund (IMF) did not achieve their desired ninety days (three months) timeframe their plans have not changed whatsoever. They are still going ahead and this is now public knowledge. Take every day that the reset doesn’t happen as a blessing and another day when you can continue to prepare. We are in this situation due to the people’s abdication of responsibility, lack of interest as well as wilful ignorance of anything outside their comfort zone. We have been so dumbed down and kept busy chasing the American dream that we have been asleep as our rights, our property, our freedom has been taken away from us. It is our responsibility to regain our power. We each have a responsibility to look after our family and not rely on the government, corporations and other third parties to do this for us. Pastor Williams has been telling us for years that we must take responsibility, some of us have taken his word and taken the steps to protect our families, others have waited. Eventually it will be too late and those will wish they had taken the helpful advice Pastor Williams has given. I say again do the following things, they are essential to protect your family, if you fail to carry out the steps you, your family and future generations will be reliant on the Elite from the day they are born until the day they die. Buy every piece of gold you can lay your hands on, Get out of debt, Get out of paper, Pay off your house mortgage, Store or buy food, water and personal protection, Get ready for the biggest buying opportunity of your lifetime, Get out of the city, Purchase everything you need, Sort out your medicine cabinet and Get your spiritual house in order. These 10 steps are specifically written to help you avoid, even prosper through the crash that is ever rapidly approaching. Do not think that because the stock market is booming that things are okay. Things are far from okay. This stock market boom is based on the Federal Reserve pumping cash into the system every month. It’s a fake boom, another bubble that will burst. Get your money into tangible assets as soon as you can. In the question and answer session at the end of the event, Christine Lagarde said “It’s also true that if very well done a good balance sheet assessment of all banks and a good stress test would also participate in the building up of what would be needed for some mutualisation of debt.” Ultimately this is both commercial banks as well as central banks. In regards to tapering on emerging economies she said “On the spill over effects on emerging market economies of tapering. What we have seen in May has been much talked about the actual flow of capitals has not been that big. What we’ve also seen is that not all emerging markets have been affected in the same way and in that way markets and investors are very cunning, they look at the fundamentals of economies, they look at the strength of government, they look at the predictability of policies, they look at the policy mix and then they decide to move in, to stay or to move out. There are countries that have had hardly any currency movement and there are countries that have seen significant currency movement as a result of the talk of tapering and subsequently the announcement in December. But, clearly what has happened in between May and December has been very beneficial to some of the countries and India is a clear example of monetary policies as well as a reaffirmation of fiscal policies that have had an impact on how prepared the Indian economy is prepared.” As you can see Christine Lagarde is well aware of what happened when Ben Bernanke hinted at tapering that cause the stock market to drop and interbank lending rates increase. In the same video Mark Carney, Governor of the Bank of England and a World Economic Forum Foundation Board Member at Davos 2014 also added to what Christine Lagarde had said about the ‘Reset’. With regards to risks he said “we have been in a very low volatility environment, in large part because of the policies of the major central banks. There are two dynamics one is to move back to a more normal volatility environment, which will feel like a big increase in volatility and potentially move further than that because of some of the structural changes in the financial system.” Mark Carney also talked about interest rate increases being reintroduced gradually. He wouldn’t put a date on it, but from what he said it is clearly looming within the short term. 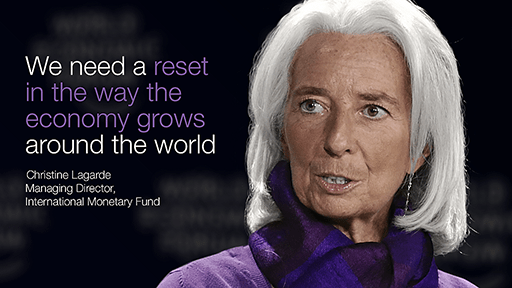 The day after the above remarks were made at Davos 2014, Christine Lagarde was interviewed for Bloomberg. Her interview is entitled ‘An Insight, an Idea with Christine Lagarde’. She announces her statement “What is needed is a ‘Reset’ of the way in which the economy grows around the world.” She talks of old and new risks especially with China, India, Spain and Iran. Old risks including: financial stability and bubbles; massive unemployment worldwide, north of 200 million people; slow growth rate; and an unbalanced and uneven growth rate. The new risks include: Tapering and spill over effect; deflation particularly in Europe. With regards to ‘Reset’ she talks about multiple fronts including: financial sector regulatory environment being finalised and constantly re-examined; reset of monetary policies by central banks of the advanced economies since they have been using unconventional financial tools; structural reforms in both advanced and emerging territories being below potential. She mentions “rebalancing all over”. Christine Lagarde also talks about inequalities widening globally over the last decade allowing for less sustainable growth and mentions the potential for taxation to change to a more Nordic Dual Income Tax system. The dual income tax system according to Wikipedia levies a proportional tax rate on all net income (capital, wage and pension income less deductions) combined with progressive tax rates on gross labour and pension income. This implies that labour income is taxed at higher rates than capital income, and that the value of the tax allowances is independent of the income level. Have a look further down the page for information relating to a new tax that the Elite wish to implement in order to fund their One World Government. A day or so ago I received an article from Investing.com with an interview with Terence van der Hout of the Netherlands-based Commodity Discovery Fund regarding “Preparing for a Reset of the World’s Reserve Currency”. In the article it mentions that the U.S. and the IMF are already planning to replace the U.S. Dollar. It also talks about SDR’s (Standard Drawing Rights). The article also talks about the resets following the crisis in Germany after the Weimar hyperinflation in 1923, and more recently, in Cyprus. Also it talks about George Soros saying in an interview with The Financial Times that the system is broken and needs to be reconstituted as well as talking about Christine Lagarde’s ‘Reset’. 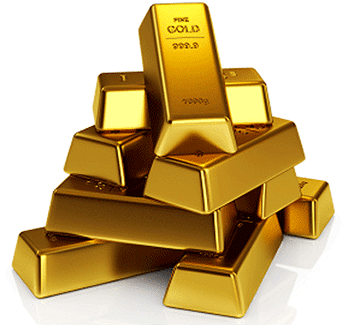 With regards to gold Terence van der Hout said that we have seen lots of manipulation of the gold price, similar to the 1960’s when the London Gold Pool was keeping prices at $35 an ounce. He said that there has been another round of manipulation in the last few years and that it cannot go on in the short to medium term. He says a revaluation toward $4,200 an ounce or gold prices will have to rise because of structural deficits in the gold market. Global gold production cannot keep up with the growing demand for physical gold and says the World Gold Council shows a deficit of 700 tons of physical gold. He talks about China and Russia growing their physical gold reserves enormously. Other information within the article talks about gold mining and gold funds as well as silver being the poor man’s gold. He says when the gold price goes up too much, more people start to buy silver. He also says there are no large above the ground stockpiles available anymore. Earlier in April 2014 there were many articles in the mainstream media regarding the IMF reforming itself without the U.S. These reforms are related to increasing the IMF’s lending capacity and to give greater powers to developing countries especially to Russia and China. The reforms were negotiated among the IMF’s 188 member-nations in 2010 and most countries have already ratified the changes. However, Republicans in Congress have repeatedly rejected these new measures. Christine Lagarde said that she will continue to defer to Congress for now, but it was her first public acknowledgement that the Bretton Woods institution is considering going ahead with the reforms without the U.S., feeling more pressure from Russia (especially after their downgrade by the S&P to just over junk), China and other emerging countries who stand to benefit. House Republicans have raised various objections and blocked the bid to include the IMF reforms with the Ukraine bill, which would provide $1 billion in loan guarantees to help stabilize Ukraine’s economy and would authorize assistance for democracy, governance and civil society programs and enhanced security cooperation. Among other concerns, they say by doubling the IMF’s permanent lending authority the reforms would expose the U.S. to greater risk of default on IMF loans. However, there has been no history of any nation defaulting on IMF loans. There are many countries that are no longer using the U.S. dollar as a means to trade internationally. Countries such as China, Russia, India and surprisingly Germany, France and the United Kingdom are all preparing for transition to a new central banking system. Over the past few years there has been a momentous rush towards setting up the infrastructure to replace the dollar completely in global transactions and with 23+ countries preparing new swap lines outside of dollar hegemony. It is coming sooner than you may think. Russia has already started entering a goods-for-oil swap transaction with Iran, causing the U.S. to retaliate with the threat of sanctions. Also, the BRICS Development Bank has been approved and the preparatory work has been done. Furthermore, Russia and India are planning to construct a $30 billion oil pipeline through China’s restive Xinjiang province that could shift the geopolitical balance. 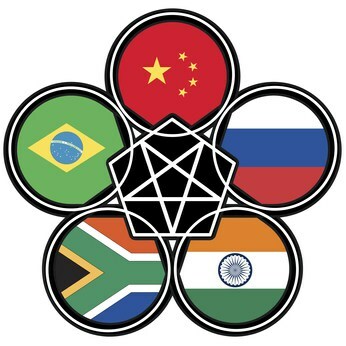 Although the IMF is very much part of global governance the BRICS bloc of emerging economies will have all preparatory work done for setting up its development bank by the group’s summit in July. The bank was first proposed in 2012 and was approved last year at the BRICS summit in South Africa. The start-up capital of $50 billion would eventually be built up to $100 billion. The BRICS group are concerned that the U.S. Congress has failed to ratify reforms to the IMF that would double the Fund’s resources and give more say to emerging markets, such as the BRICS. What this would mean is that countries such as Brazil, Russia, India, China and South Africa as well as those countries under the BRICS umbrella would no longer need approval from any institution where the U.S. has power to veto changes. It may mean that the emerging economies will become the world’s richest and the current advanced economies will start to falter. As Pastor Williams has discussed in his DVD ‘Global Currency Reset’ in October 2013 the IMF released its Fiscal Monitor Report titled “Taxing Times”, the report paints a dire picture for advanced economies with high debts that fail to aggressively “mobilize domestic revenue.” It goes on to build a case for drastic measures and recommends series of escalating income and consumption tax increases culminating in the direct confiscation of assets. The report says “The sharp deterioration of the public finances in many countries has revived interest in a “capital levy”— a one-off tax on private wealth—as an exceptional measure to restore debt sustainability. The appeal is that such a tax, if it is implemented before avoidance is possible and there is a belief that it will never be repeated, does not distort behavior (and may be seen by some as fair). … The conditions for success are strong, but also need to be weighed against the risks of the alternatives, which include repudiating public debt or inflating it away. … The tax rates needed to bring down public debt to precrisis levels, moreover, are sizable: reducing debt ratios to end-2007 levels would require (for a sample of 15 euro area countries) a tax rate of about 10 percent on households with positive net wealth. (page 49)”. Over the past few years the IMF and governments have really pushed hard to destroy tax havens and have started legislation that means people holding money and assets offshore will be branded a criminal offence. I am sure that this only means individuals and not corporations such as Google, Starbucks and other serial tax evaders who have the financial muscle to do deals in order to pay less tax usually by creating many low-paid menial part-time jobs. The article talks about potential 10-15% losses, constantly, every time the flow of stimulus is halted and that the most telling sign that the game is rigged is how the market responds when there is talk of tapering quantitative easing that has been pumping phantom dollars into the system. Nick Hodge talks about what Pastor Williams spoke about in June 2013 when he received two emails from his Elite friend and went on many radio shows to talk about what happens when interest rates are adjusted. When there were whispers of “winding down” the $85 Billion pumped into the economy by the Fed the DOW shed almost 700 points. It shed another 1,200 points in February 2014 when Janet Yellen took over reigns at the Federal Reserve and “taper talk” continued. Nick Hodge continues and says “It’s an image of a gradually inflating stock market, powered entirely by an unstoppable stream of fresh, crisp $100 bills, each one slightly less valuable than the one that came before it.” I have had the same thoughts regarding the current bull market being based on nothing but cash pumped in to inflate a bubble that will obviously burst at some point. 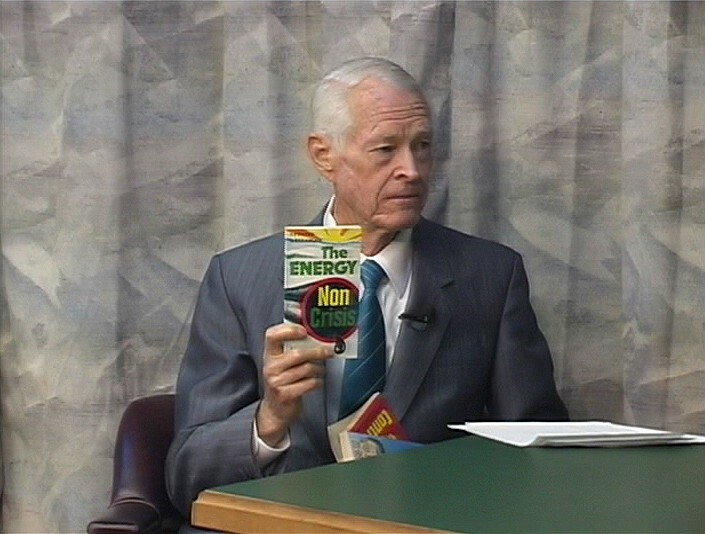 In his DVD ‘Elite Emergency Data’ Pastor Williams talks about what will happen when the Affordable Healthcare Bill (Obamacare) comes into full operation. The U.S. will become a nation of low-paid part-time workers. It is already happening. According to Nick Hodge’s research almost half of recent graduates are “underemployed,” working at a low-wage job that doesn’t require a degree. He also says that about eight million people are working part-time because they cannot find full-time work. Nearly 27% of those aged 65-74 are still in the workforce, an increase of 30% in a decade. The Bureau of Labor Statistics estimates that will rise a further 18% by 2022, which means a third of American seniors will still be in the workforce trying to make ends meet. The number of workers in the retail sector now outnumbers those in the manufacturing sector for the first time. While 21% of the jobs lost during the recession were low-wage jobs, over half the jobs created since then have been low-wage. 60% of the jobs lost in the recession were middle-income jobs, but only 22% of new post-recession jobs are middle-income. In 1960, the top three employers were General Motors, Ford and AT&T, today it is Wal-Mart, Taco Bell, KFC and McDonalds. From manufacturing and exporting to service based industries. The ultimate result of everything that’s ensued since 2008 is an erosion of trust. Debt holders lose trust in the U.S. ability to pay them back, this is happening now and it threatens the very foundation of the U.S. dollar, which gets its value from trust and nothing else. Nick Hodges continues “in the beginning of December 2013, China held $1.317 trillion in U.S. treasuries. By the end of the month, it only held $1.269 trillion, meaning it dumped some $48 billion in U.S. paper in one month. That’s the second-largest amount ever.” If China is dumping the U.S. dollar, what is it buying? GOLD! In 2013 China was crowned the world’s largest gold market for the first time. Chinese consumers bought 1,066 tonnes of gold. Chine was also the world’s top miner, producing 437 tonnes last year. It also imported 1,108 tonnes, a 33% rise in one year. The U.S. officially holds 76% of its foreign reserves as gold, for the Chinese, who hold $3.4 trillion in foreign reserves, they’d need some 58,000 tonnes, or about one-third of the total gold ever mined in the history of the world, to match that 76% ratio. They can either watch the value of their dollars erode with every dollar printed along with the trust that backs it, or they can go on a massive gold-buying spree. China are opting for the latter. Even in so called ‘good times’ we should all have investments in precious metals such as gold and silver not only for rough weather, but as a store of wealth and a hedge against bubbles, resets and corrections. Whilst paper currency is being devalued every time a dollar is printed, gold stays relatively stable. Physical gold and silver is in short supply and really only the price of manipulated and fraudulent ‘paper gold’ that fluctuates. Physical gold will always have a premium over paper gold. The stock market is in another bubble cycle and has been inflating due to quantitative easing. We are now in the tapering phase and the stock markets will now start to fall. A lot of people are starting to understand that all the markets are manipulated for the benefit of the Elite and not them. The only store of wealth to protect themselves from all of this is physical gold and silver. Countries like China, Russia and India know this and have been preparing for a long time. It is time you stored your wealth in gold and silver. As Pastor Williams has said many times, it is important for you to get your financial house in order. If you have a retirement account, 401k, IRA or have paper currency languishing in your bank account you should consider converting at least some of this investment into physical gold and silver. My own personal recommendation is Regal Assets. 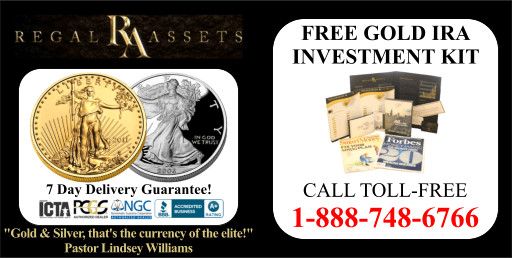 They are experts in converting paper 401k and IRA retirement funds into gold, silver and other precious metals. They have an A+ rating with the Better Business Bureau, AAA rating with the Business Consumer Alliance, 5 out of 5 star client rating and preferred membership status with TrustLink, Official retailer listed with the United States Mint and rated #20 in the United States for financial services by Inc. Magazine. They have great customer service to their clients and have a 99.9% client satisfaction rating with all of their testimonials fully verified by TrustLink. They also offer a 7 day delivery guarantee and also pay the first year dues for retirement accounts, which include all the setup fees, administration fees, storage fees and delivery of metals. Give them a call on 1-888-748-6766 or visit their website where you can read many testimonials from their customers. Nearly four years ago Mr. Ken From told Pastor Williams that China was the one to watch. He called it “The Big One.” Mr. From was Pastor Williams’ Elite friend who died about a year and a half ago. He knew everything. He was right, watch China and forget everything else. Pastor Williams has shared with me an article from ‘Survive & Prosper’ that warns “… that 2014 will be the year of defaults for China.” The article goes on to say that when the China bubble bursts it will “trigger a market crash around the world.” George Soros wrote in early January 2014 in ‘Project Syndicate’ and warned that “The major uncertainty facing the world today is not the euro but the future direction of China. The growth model responsible for its rapid rise has run out of steam”. Soros went on to say that “There are some eerie resemblances with the financial conditions that prevailed in the US in the years preceding the crash of 2008.” Leland Miller, President of China Beige Book International, is warning that 2014 will be the year of defaults for China with China’s subprime lending mushrooming to more than $2 trillion in the last five years. Its corporate bond market now totals $4.2 trillion. Its total credit has surged from $9 trillion in 2008 to $23 trillion, 250% of GDP. An agricultural financial co-op has closed its doors, and depositors couldn’t withdraw their money and a China Credit Trust wealth-management product of $496 million blew up. The Chinese government bailed them out. On March 7, 2014, China saw its first corporate bond default, when Shanghai Chaori Solar defaulted on its bond payments. It’s unlikely the government will bail them out. A Chinese developer, Zhejiang Xingrun Real Estate Company just defaulted on $567 million of its debt to 15 banks, including 29% of it to China Construction Bank. Nomura Holdings, Inc. now warns “There is a high risk of a sharp correction in real estate prices due to oversupply”. 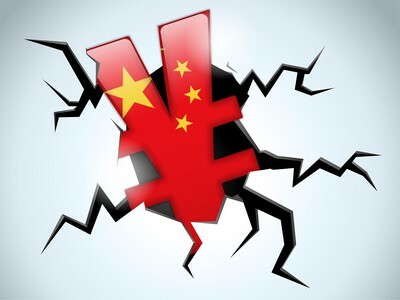 As Pastor Williams has warned, when China falters we will see the start of the global crash. In his article in ‘Project Syndicate’ George Soros returns to the subject of “the absence of proper global governance.” He also talks about “allowing global warming to proceed largely unhindered.” This returns us to the subject of global governance and how the Elite will achieve their goal of a one world government. The way they would finance world government was through “sustainable development” and “Agenda 21”, namely carbon taxes. The Rockefeller Brother’s Fund has been working on climate change since 1984. 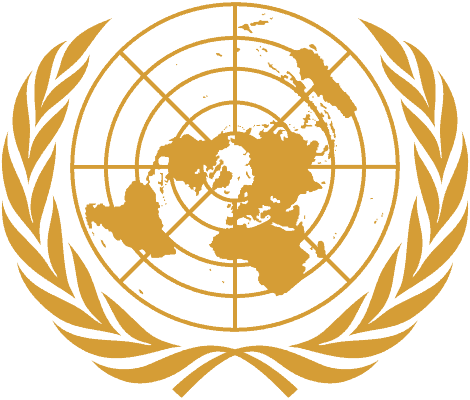 According to the UN “Agenda 21 is a comprehensive plan of action to be taken globally, nationally and locally by organizations of the United Nations System, Governments, and Major Groups in every area in which human impacts on the environment.” Sustainable development goes hand in hand with the United Nations Agenda 21 and the green economy. Rosa Koire famously stated that “UN Agenda 21 and Sustainable Development is the action plan implemented worldwide to inventory and control all land, all water, all minerals, all plants, all animals, all construction, all means of production, all energy, all education, all information, and all human beings in the world”. Climate change, formerly global warming is a key agenda point. The Elite decided to propagandise global warming through Nobel Peace Prize winner, oil man, green campaigner and former US Vice-President Al Gore’s film ‘Inconvenient Truth’, which was heavily criticised in the alternative media with less than truthful evidence focusing on an alarmist emotional reaction from those who watched it. Al Gore has profited from supporting climate change policies through smart meter technology and alternative energy. He also partially owns an investment company that sells carbon credits. The agenda for initiating carbon taxes worldwide was scuppered for a short time due to ‘Climategate’ in 2009 when emails surfaced evidencing a the scandal involving the most prominent scientists pushing the man-made warming agenda. A report published in 2010 by the Rockefeller Brothers Fund said “the impact on public confidence has been great, and it will take a number of years before trust in the science will be restored.” The propaganda campaign for the climate change agenda has not stopped and sadly the carbon tax and ultimately global government is continuing with IMF, World Bank and UN engaging finance ministers from 46 countries including the U.S. into using fiscal policies, such as carbon taxes, to combat climate change. An article published on Friday April 11th, 2014 by Reuters confirms that carbon taxes are high on the agenda of the IMF, World Bank and UN with IMF Managing Director Christine Lagarde, World Bank President Jim Yong Kim and UN Secretary General Ban Ki-Moon explaining to ministers the fiscal tools thy can use that will benefit the environment while stimulating global economies. Two “intelligent” ways to reallocated resources to benefit the environment were carbon taxes and removing fossil fuel subsidies. Ultimately what this article tells us is that carbon taxes that will finance sustainable development and therefore Agenda 21 and ultimately world government. Carbon is a very profitable commodity. We are all carbon based life-forms. A carbon tax is a tax on everyone. As well as carbon, the World Bank wants to privatize all water as part of its climate change initiatives. Even the UN is saying Fracking (hydraulic fracturing of rock to release oil and gas) can help slow global warming. Under Agenda 21 everything is for sale. In Australia where carbon taxes are already levied, former Prime Minister Julia Gillard controversially campaigned in 2010 stating “There will be no carbon tax under a government I lead, but let me be clear: I will be putting a price on carbon and I will move to an emissions trading scheme.” Whilst she claimed there would be no carbon tax, a ‘carbon pricing scheme’ commonly referred to as a carbon tax, was introduced by the Gillard Government and became effective on July 1st, 2012. The Australian federal government reaped just over $4.1 billion from its carbon tax levies in 2012/13. The scheme is seen as successful in Australia and the UN, IMF and World Bank are now ready to roll out a ‘carbon pricing scheme’ worldwide. Australia is ranked just 12th in gross domestic product (GDP), just consider how much revenue can be generated by countries such as Canada, India, Italy, Russia, Brazil, United Kingdom, France, Germany, Japan, China, the United States and the European Union. The U.S. already has a climate change executive order entitled “Preparing the United States for the Impacts of Climate Change” and it is a major initiative that affects every facet of society. I am sure we will find out what sacrifices must be made in the name of sustainability at the pivotal UN climate change treaty negotiations in Paris in 2015. This all ties into the 2020 global emissions reduction target policy date, and the possible year that we see the inauguration of world government. Ultimately it is not a bright picture for humanity across the planet. We are looking at total control of humanity, flora and fauna with all resources controlled by the Elite’s global government funded by carbon taxation under Agenda 21 plans. All of our water will be controlled by private organisations, but first water aquifers will be destroyed by fracking. All of our food will be controlled by private organisations, whether this is genetically modified or not food production will be reduced. Arable land is being bought up under Agenda 21 to enable re-wilding of the planet, we see that with the Bundy incident that the Elite will do anything in their power to take over land. Mega cities are being created in order to house the populous, there is already propaganda promoting smaller “green” living accommodation on television. The IMF and World Bank are going to confiscate your wealth from your pension schemes in order to bail out their criminal friends on Wall Street. The currency of the world will be reset to destroy the middle class, thereby making a two-tier system of rich and poor. The third world will be industrialised with monies generated from resets in order to control their human and natural resources. They will then destroy the derivatives casino and take down by a contrived and well executed plan of action by raising interest rates and initiating ineffective healthcare system that is nothing more than further taxation turning the majority into low-paid part-time workers. All Americans will receive an RFID microchip implant in 2017 according to NBC. Women will be expected to work and pay taxes instead of raising children, this will be carried out by state institutions. The U.S. will be reduced to the status of a second-world economy. Pastor Williams has shared great insight into what you can do to protect your family from what is planned and being implemented right now. The information within his DVDs “Elite Emergency Data” and “Global Currency Reset” are invaluable. It doesn’t matter if the reset has not already occurred. We should be thankful that it has not yet happened. We will see hardship all in good time. We need to prepare. The more people who prepare are not going to be easy for the Elite to control. This is the key, the ‘10 Steps to Avoid the Crash’ are not what the Elite want. They will put a spanner in the works of the Elites dastardly plan for humanity and this planet. Every step we can take to become self-sufficient, to return to the old ways of looking after ourselves instead of relying on third parties. It is up to you to take these steps, do you want to live in the servitude of the Elite as Aldous Huxley has predicted, or do you want to take back your power?